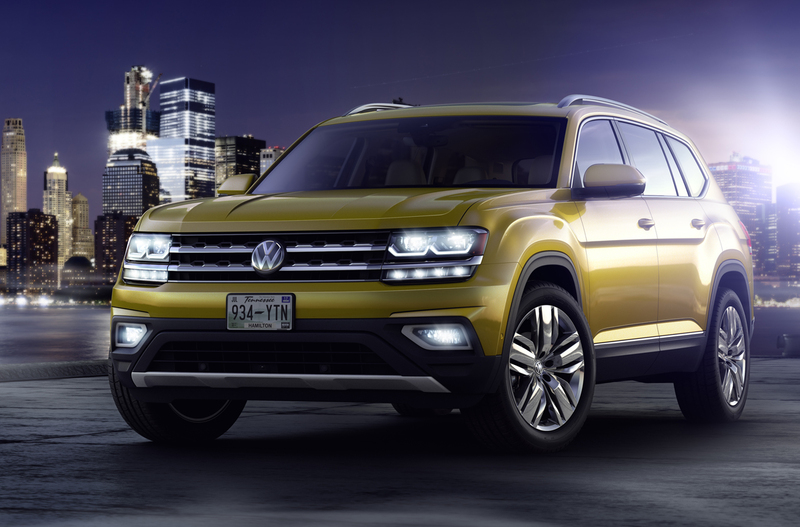 In Santa Monica, California, Volkswagen has finally unveiled their largest SUV ever, the designed and built for America three-row 2018 Atlas. 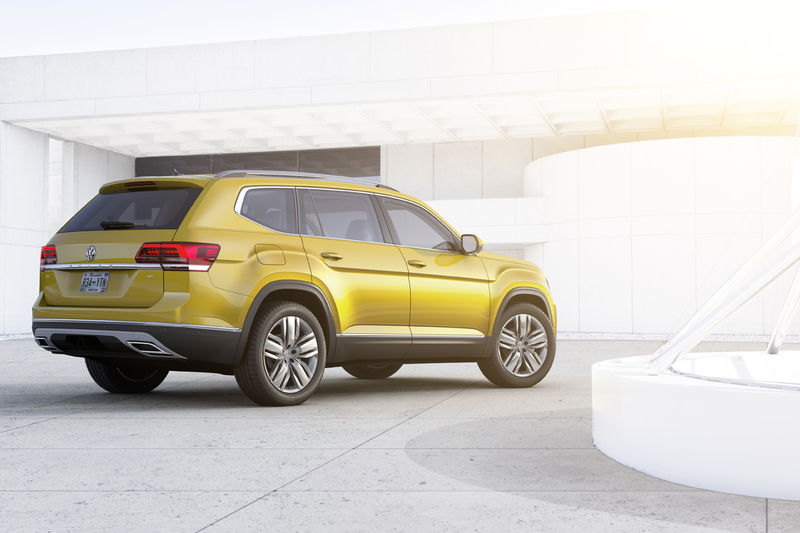 To be the largest model the brand has ever built in America, the new 2018 Volkswagen Atlas was unveiled in the surrounds of Route 66 imagery and the brand’s road trip heritage of the Microbus and Beetle. 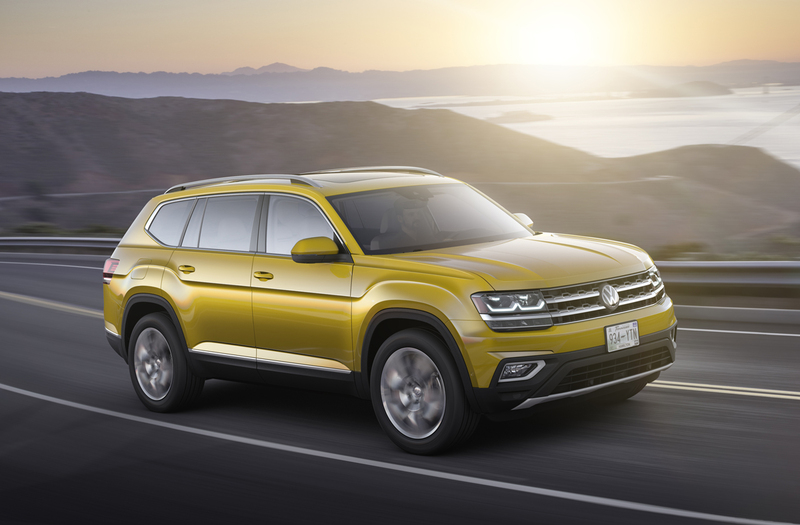 Though the new three-row crossover SUV couldn’t be more different than these vintage Volkswagen models, the Atlas is painted into our landscape with much the same brushes of family vacations, adventures, and yes trips to the soccer game. 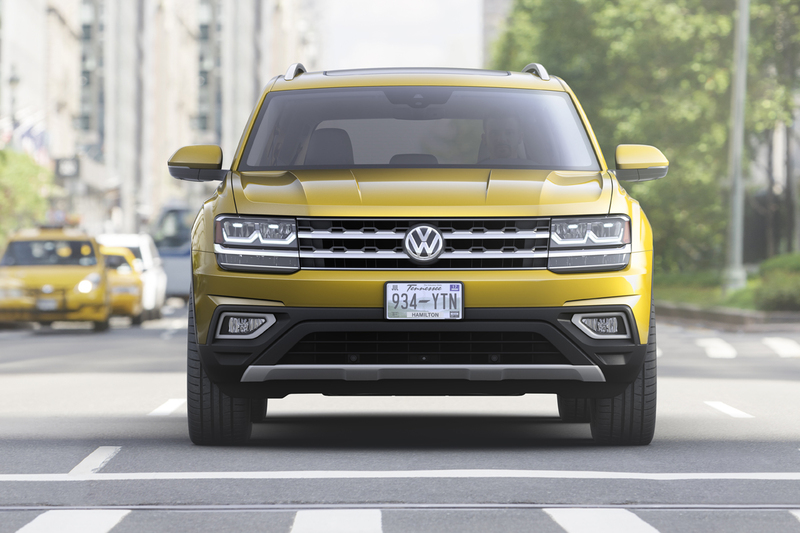 To compete against the likes of Ford Explorer, Toyota Highlander and Honda Pilot, the new Volkswagen Atlas is like sized. In fact it bests many of them at 198 inches in length and promises every bit the interior spaciousness. 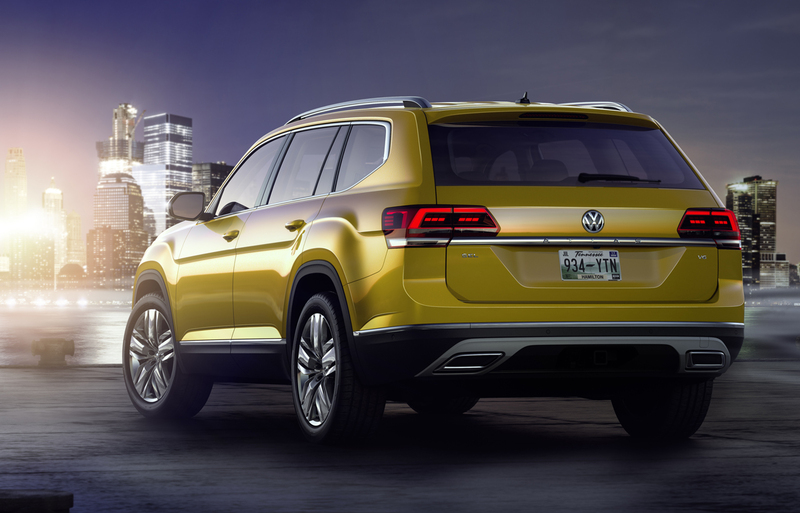 Styling comes with the expected Volkswagen family DNA but takes some surprising detours off the normal route with bulging fender arches front and rear. A kicked up window line at the C-pilliar is another new curve unexpected. The interior marks a unique look and feel for its class, with clean horizontal lines all around that accentuate its width. 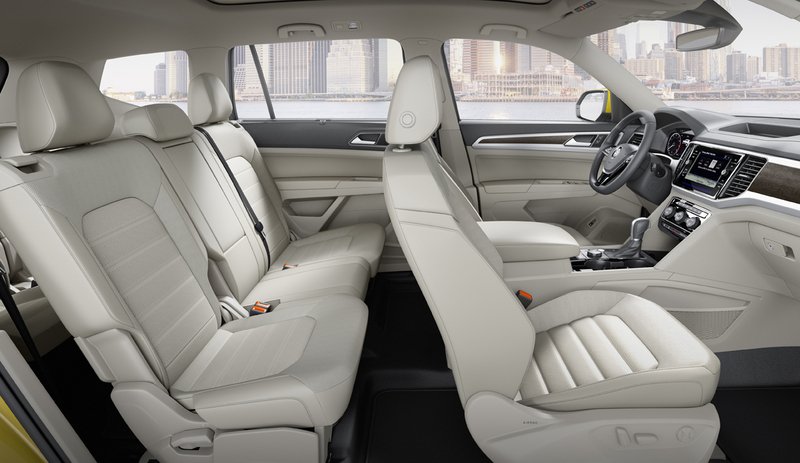 Seating up to seven with generous space still for luggage, it will feature a variety of seat folding options and ease of access to the third row. 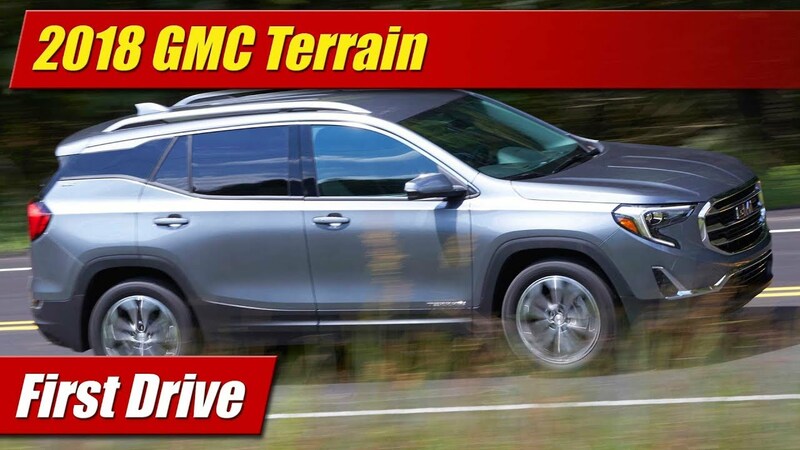 Technologies will abound for the infotainment options that will include Fender Audio with Apple CarPlay, Android Auto and Mirror Link connectivity. For the driver, the instrumentation will feature and available Digital Cockpit display that’s infinitely customizable – very similar to the Audi Virtual Cockpit system. 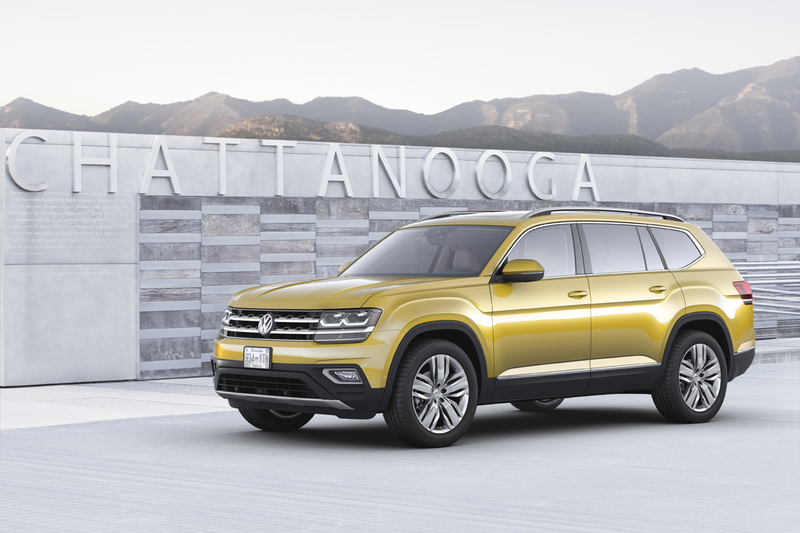 To be manufactured at Volkswagen’s Chattanooga, Tennessee plant, the Atlas rides on a stretched and widened variation of the brand’s MQB chassis architecture that also underpins the Golf family of cars just to name a few. At launch power will come from two different engines. 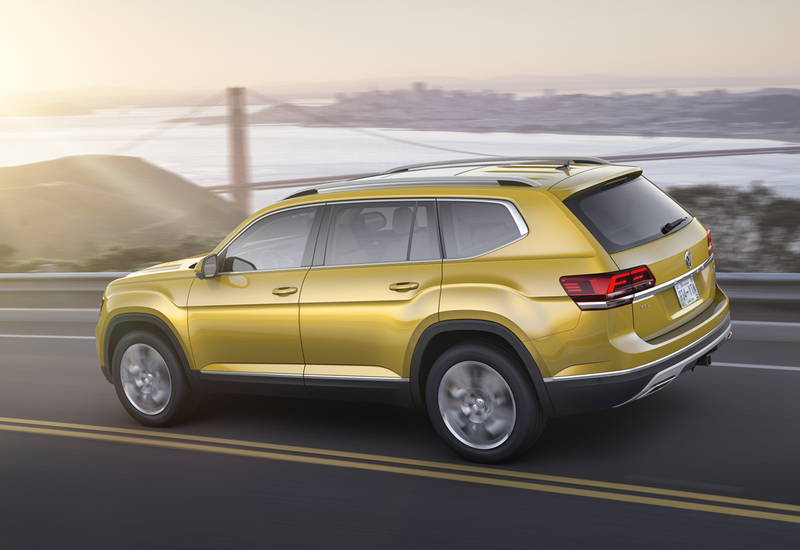 The first is the standard 2.0-liter turbocharged and direct-injected gasoline four-cylinder with 238 horsepower. 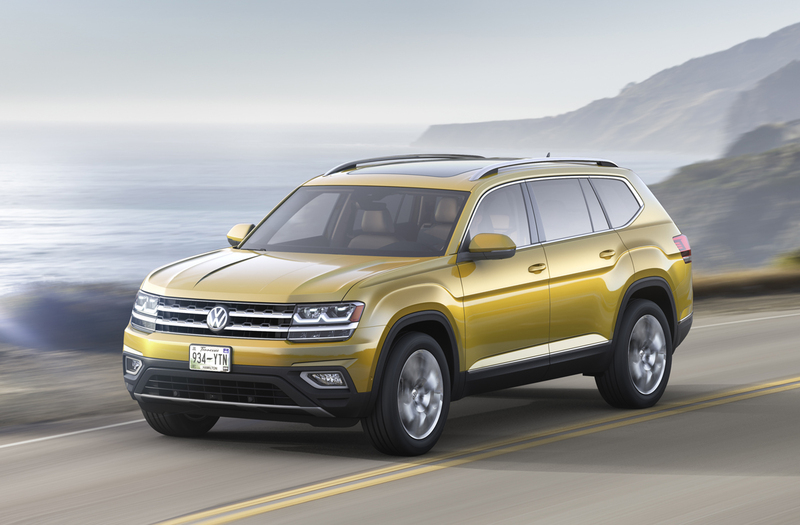 Also available will be a top option 3.6-liter VR6 with 280 horsepower. 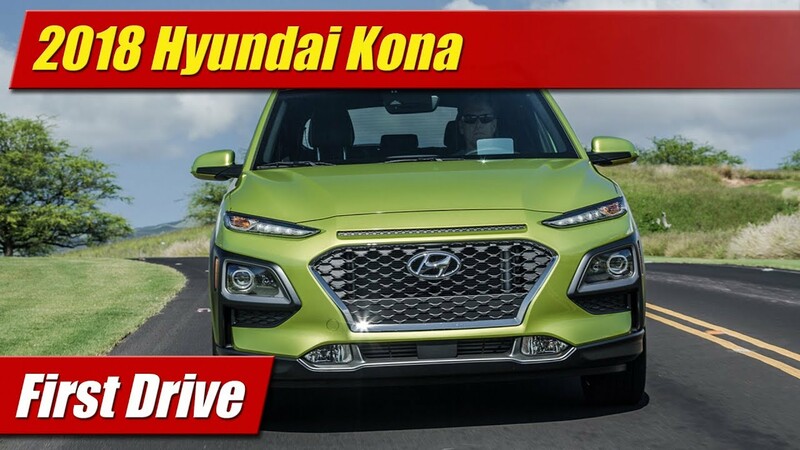 Both engines will come with an eight-speed automatic transmission. 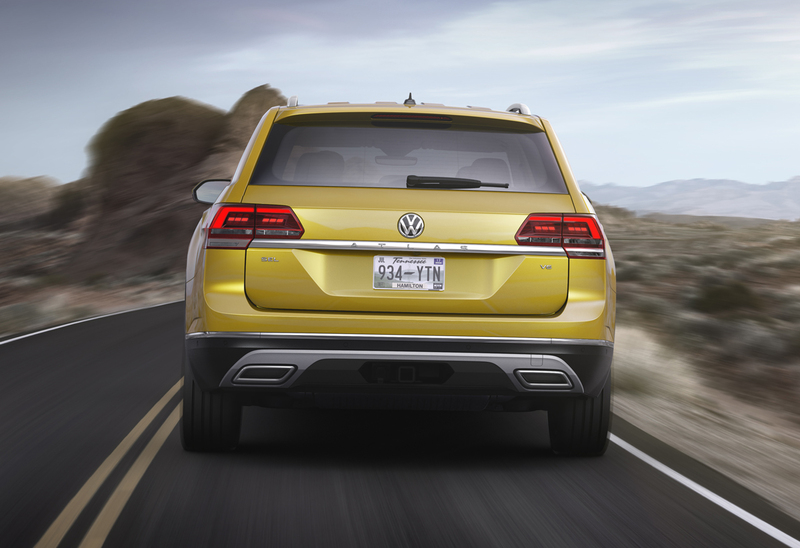 2.0 liter models will be front-wheel drive, with 4Motion all-wheel-drive coming exclusively with the VR6 engine. 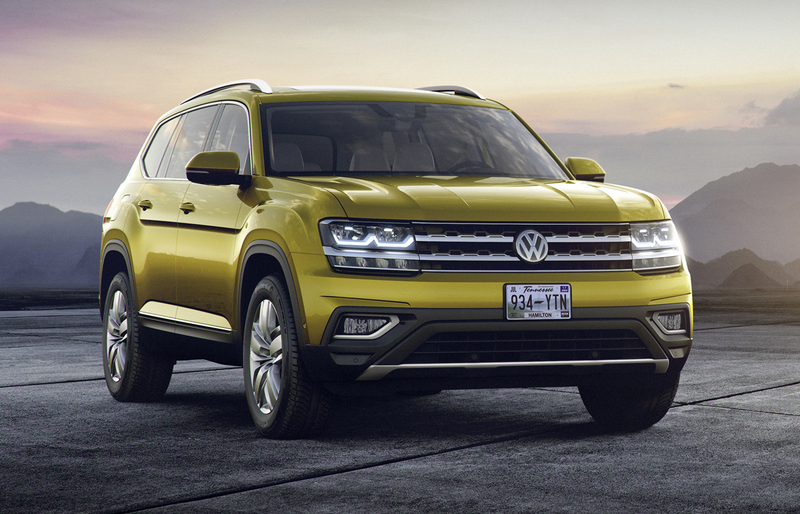 Missing from the scene is a TDI diesel option, though a hybrid may come along within the next couple of years. EPA fuel economy, pricing and final specifications will come closer to the launch of the Atlas next spring.